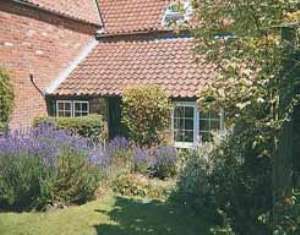 An excellent base for touring North Norfolk coast and its good sandy beaches; the fishing villages of Wells and Cley next the Sea are a short drive. Close to Sandringham. Golf at Hunstanton, walking, birdwatching, fishing locally.Shop and pub nearby. Lovely spacious lounge, dining room, kitchen. First floor: 2 bedrooms - 1 double, 1 twin, modern bathroom with toilet & basin. Services: Full OFCH. Open fire. First basket of logs, fuel, power & bed linen (duvets) inc. Remainder of logs avail locally. Parking for 2 cars. DVD player. Video. CD/cassette player. Elec cooker. W/machine. M/wave. F/freezer. Enclosed garden with patio & furniture. One well behaved pet welcome. Non smokers only. No children under 12 years.